I'm quite indecisive when it comes to beauty products, it can take me months to decide if I like something and then even longer to get a review up on the blog, especially if results aren't instant. I thought I would write some first impression mini reviews on products I want to highlight but haven't had a chance to yet. True Nature Botanicals Topical Vitamin C Treatment* - This is such a unique product and I don't know of anything similar. The vitamin C comes fresh in powder form in individual capsules to stay potent for as long as possible, along with vitamin C there is ferulic acid and licorice root. You mix the white powder with a water based serum and apply to skin, I find the powder absorbs a lot of liquid and so I use a mix of serum and a toner. The mixture dries almost instantly on contact with the skin and there's a warming sensation for a few seconds before you can't tell it's there. I like the matte finish as it makes a difference from going to bed with a greasy face from my facial oils for a change ha! I find I get two uses out of one capsule as there is so much in there and the difference to my skin in the morning is ah-mazing. I've been saving these for special occasions or when I want my face to be somewhat acceptable for other humans to gaze upon... It calms redness and stops blemishes in their tracks, not to mention helping heal scars and brightening skin. I've used 4 or 5 capsules so far and am loving the results for a once a week treatment.. I will report back with a more in-depth review in a few months! 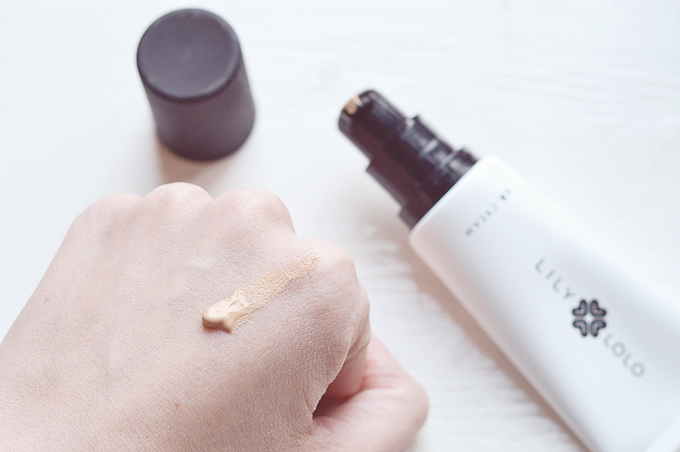 Lily Lolo BB Cream Shade Light - I was really excited when Lily Lolo released their BB cream a few months ago but haven't heard much about it since or read any reviews! There are 2 shades available of this (pretty affordable at £11.99) BB cream and the shade light is almost perfect for my skin, it's just a little too dark for ghostie over here but will be a good match come summer. The coverage is really surprising and really good for a BB cream. I tend to mix it with moisturiser to make it a little sheerer and blendable with my skin tone. It's quite thick in texture but applies easily enough, there is also no mention of sun protection though there is some titanium dioxide in there at the very end of the ingredients list - not enough to provide much protection though I would think. I don't use this too often at the moment but hopefully will use it more in warmer weather! 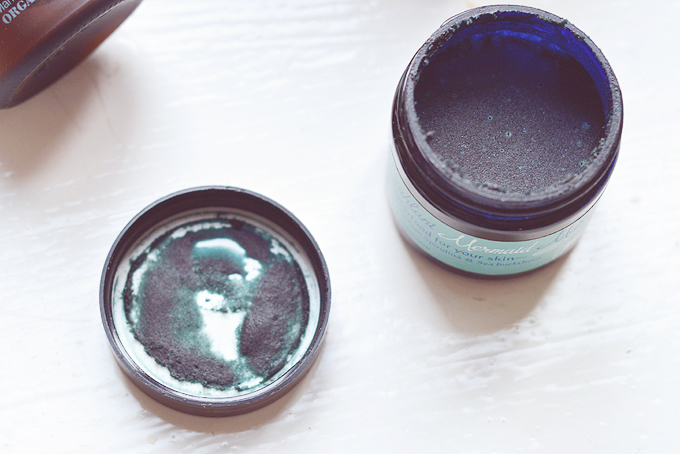 Leahlani Skincare Mermaid Mask - The newest addition to my stash from this trio is the infamous mermaid mask! 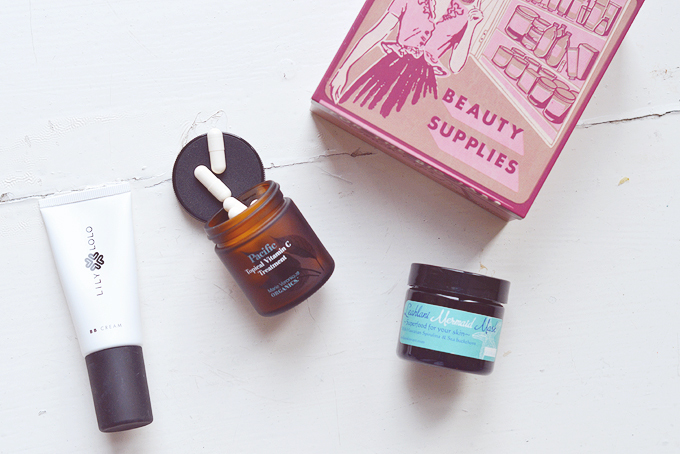 The lovely Lauren sent this to me for our beauty swap at Christmas and I was oh-so excited to try the range! The mermaid mask is a honey based mask packed full of superfoods such as spirulina, chlorella, sea algae and sea buckthorn oil. What struck me most though is the scent! it's a citrusy tropical floral blend from botanical oils that will knock your socks off - love! As you can see the mask is pretty solid in the cold temperatures of our flat and needs a good stir before use. I've used this 3 times so far and love how soft it makes my skin whilst the scent transports me off to Hawaii (a girl can dream). 3-5 minutes later and skin is feeling refreshed and bright (any longer and the essential oils get a bit too much for my sensitive skin). This is definitely a cult product in the making and one you need to try! I'm so intrigued by the TNB Vitamin C Treatment. Does it dissolve easily? Or is it somewhat gritty on the skin? This all sound lovely. I've been eyeing the Leahlani Skincare Mermaid Mask thanks to Ru and this just solidifies my desire for it. I'm also intrigued by the True Nature Botanicals Topical Vitamin C Treatment. It sounds amazing for my acneic skin with scarring I've been wanting to address. Can't wait for the full review! These all sound lovely. I've been eyeing the Leahlani Skincare Mermaid Mask thanks to Ru and this just solidifies my desire for it. I'm also intrigued by the True Nature Botanicals Topical Vitamin C Treatment. It sounds amazing for my acneic skin with scarring I've been wanting to address. Can't wait for the full review!